We are our biggest bodies. About 2 m2 deep is wrapped around us now and it does not have the shape we think. Indeed, scientists have found a new geometric shape previously unknown to science or mathematical circles, and this shape seems to be concealed throughout our entire life. Here we are talking about epithelial cells, which are the cornerstone of the structural touch that forms our outer (and inner) skin layer. These epithelial cells, one of the most important cells in the early stages of life, are helping to build structures that will eventually become different organs of the body in the developing embryo. As such, the epithelial cells formed by the compression of millions of tiny cells do not remain in the outer skin, but also in the internal organs. 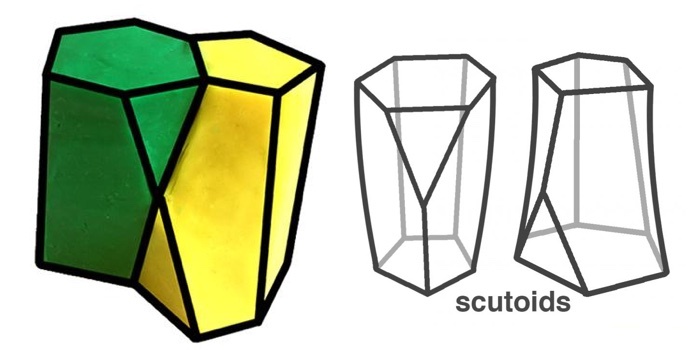 Scientists could never fully understand how these individual cells were possessed, but they were predicting that they were in the form of a "frustum" that meant a truncated cone, like a "bottle" resembling a pyramid with a prism or a pyramid generally resembling a column. But scientists are surprised to see that using computers to reproduce the close-packed state of three-dimensional epithelial cells. "The results we saw during modeling were weird," says Javier Buceta, bioengineer at Lehigh University. "As the curvature of the tissues increases according to the predictions in our model, the only shape cells have is not columnar and bottle-shaped." Buceta's team faced a different form they could not identify. 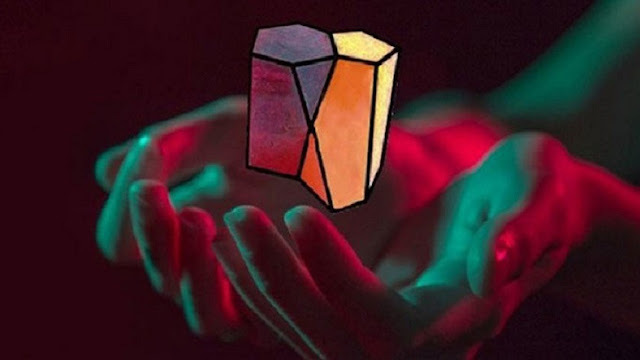 It has an image that resembles a prism. However, on one end of the prism there are 5 corners, the other 6 corners: The geometrically odd one creates a small triangle by splitting one of the corners of the prism into a Y-shaped split. This strange "convoluted prism" may sound like a comparison with M.C.Escher, but according to the research team, this unique figure was not previously described in any scientific publication. "What is surprising to us is that this extra figure is not even a name in mathematics," says Buceta. "Normally someone will not be able to name a new shape." Scutellum is the name of the region, which resembles a tiny triangle behind some of the insect's rib cage. As a result, researchers gave 'scutoit' to these new discoveries to respect scutellum. Scientists question why skutoids are located throughout the skin; as the epithelial cells are twisted, they give the twisted prism a more energy-saving form. Luisma Escudero, a cell biologist at the University of Seville in Spain, who is one of the team members, says, "Tissue tends to use its energy to a minimum to be more stable in the twilight." "And so, according to our biophysical data, the cells adopt this skutoid shape." When researchers found the shape of skutoite in their samples, they did research on whether the invention was also present in nature and found preliminary evidence that this twisted prism could also be present in epithelial tissues of both fruit flies and zebrafish. But the research team thinks that defining the shape can create a significant break point in our thinking about the epithelium, since all animals contain such skin cells. More research needs to be done to see how common the skutoid figure is among living things (including us). Researchers claim that the findings they have obtained give unprecedented insight into the understanding of the three dimensional organization of epithelial organs. 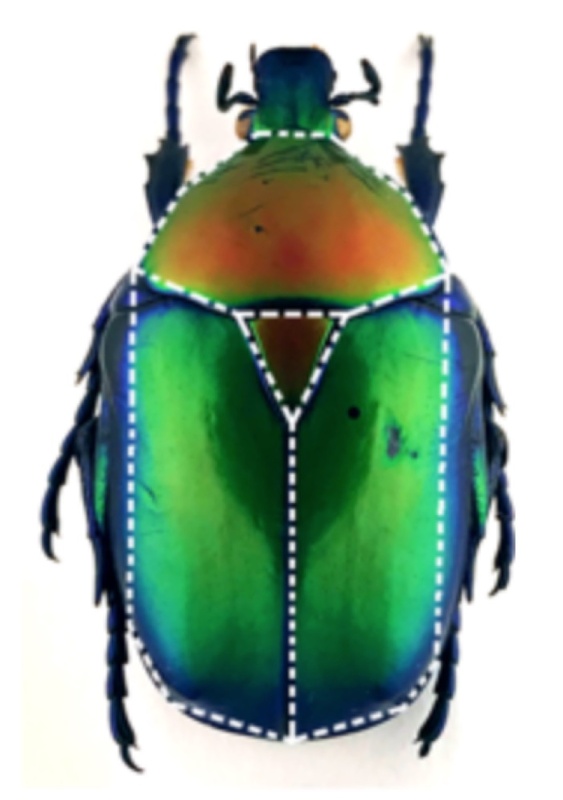 "For example, if you are working on creating artificial organs, this discovery will help you build the building scaffolding that you need to accurately mimic the arrangement in the texts that nature has developed effectively in its path," says Buceta. "We found the solution that nature used successfully to effectively bend an epithelium."